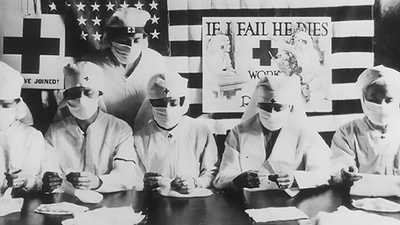 Those learning for the first time of the devastating consequences of the worldwide 1918 influenza pandemic typically respond with one key question: Could it happen again? Modern virologists respond with a sobering, “Yes.” To comprehend how this is possible, it is necessary to understand how influenza viruses are passed from species to species, and what makes one treatable and another deadly. Generally, birds, pigs, and humans are the principle players in a viral chain reaction that determines how serious an influenza outbreak is going to be. As viruses are exchanged between various members of various species, subtle changes to the viruses’ genetic material can occur. Usually such mutations are minor, resulting in a process called antigenic drift. Even minor changes in the virus’s make-up, however, mean that new vaccines must be developed to combat it. When two or more existing strains combine to form a new strain that is called antigenic shift. Such a significant mutation occurs, for instance, when a flu virus from a bird and a flu virus from a human combine inside a pig and result in a new, virulent strain. Scientists speculate that this set the scene for pandemics like the Asian flu of 1957 (70,000 Americans killed) and the Hong Kong flu of 1968 (34,000 Americans killed). The responsibility for tracking emerging influenzas and predicting which ones pose a serious threat to human populations falls to several government health agencies: the Centers for Disease Control and Prevention, the National Institute of Health and the Food and Drug Administration. These U.S. agencies combine forces with the World Health Organization and attempt the tricky task of flu forecasting. An international surveillance network of flu trackers records and disburses data regarding outbreaks in various species from all over the globe. In recent years, flu trackers have witnessed new strains originating in Asia with some regularity. Health authorities believe the close proximity of people, birds, and pigs found in many Asian nations contributes to influenza virus propagation. Information gathered by flu trackers is used to develop the annual influenza vaccines given to millions of people around the world. However, the composition of the vaccine itself is, to some degree, the product of scientific guesswork. In order for drug companies to have vaccines ready for the annual autumn inoculation period, they must rely on forecasts based on the previous winter’s flu activity regarding which strains are more likely to pose a threat in the coming flu season. Quite often the forecasts are correct and the vaccines are effective; on average, the influenza vaccine reduces the chance of getting the flu by 70% – 90%. Additionally, doctors have at their disposal a vast array of antibiotics with which to treat secondary illnesses, such as pneumonia, that strike many flu victims. There are instances, however, where an unforeseen influenza strain causes alarm at the height of flu season. 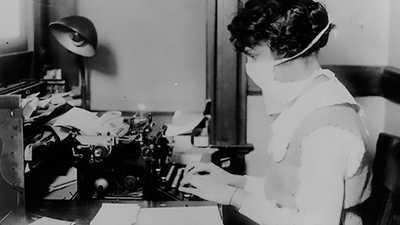 This was the case in February 1976 when soldiers at Fort Dix, NJ became ill with an unusual strain of influenza that turned out to be similar to the 1918 flu. Because it was early in the year, scientists were able to mass produce a vaccine that would combat this strain in the upcoming fall season. Health officials encouraged vaccination nationwide, but when inoculated Americans started developing Guillain-Barré Syndrome (GBS), an autoimmune disorder, the officials terminated the vaccination campaign in December, just ten weeks after it began. 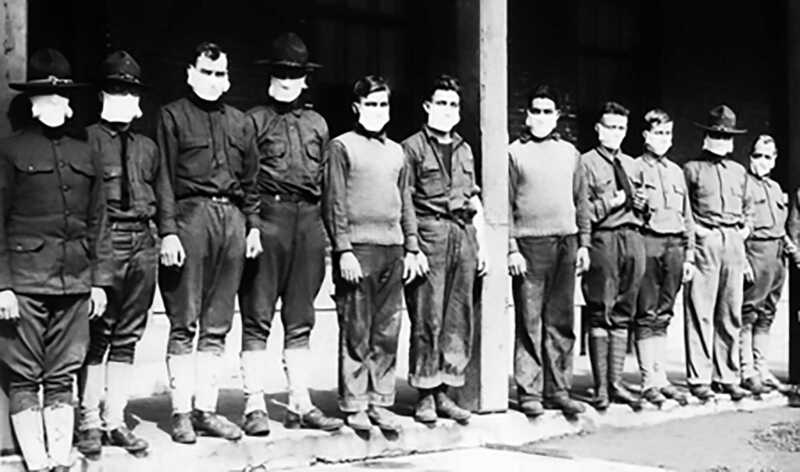 Ultimately, the spread of that strain of influenza never left the Army base. In May 1997, flu trackers turned their attention to Hong Kong, where doctors were trying to determine whether an avian (bird) virus that infected and killed a three-year-old boy could be passed from person to person. The prospect of such an influenza virus spreading through human populations was considered particularly alarming because humans carry no natural immunity to avian virus. A vaccine, if one could be developed at all, would take months to test and distribute. And because influenza vaccines are usually grown within chicken eggs to begin with (and this strain of virus kills chickens), scientists would be faced with the task of engineering a form of the virus that does not kill the chicken eggs. A number of public health experts believe that as global travel expands, cases of “rogue” influenza outbreaks may become more common. The world’s underdeveloped areas, where overpopulation and poor sanitation often abound, are increasingly visited by travelers from urban centers who return home carrying more than just their passports. 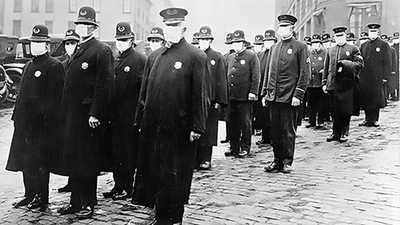 The very speed and frequency of modern travel could, therefore, work against public health authorities racing to control a pandemic. In mid March 2009, an unknown virus began spreading in Mexico, and by late April, cases of the H1N1 virus — commonly called the Swine Flu — had been confirmed in the U.S., Canada, Spain and the United Kingdom; on June 11, the World Health Organization declared a new pandemic as a result of the global spread of the H1N1 virus. Unlike the garden-variety influenza virus, this strain can infect more than one species. Birds, swine and humans are all at risk for infection. While the alert status of H1N1 was high in the U.S. in 2009, the number of confirmed related deaths remained relatively low. It is estimated that at least 10,000 people worldwide died from the H1N1 virus in 2009 while most seasonal strains kill roughly 250,000 to 500,000 every year. For the latest information on H1N1, check out the weekly Influenza Surveillance Reports from the CDC and see the CDC’s map of current flu acitvity in the U.S.